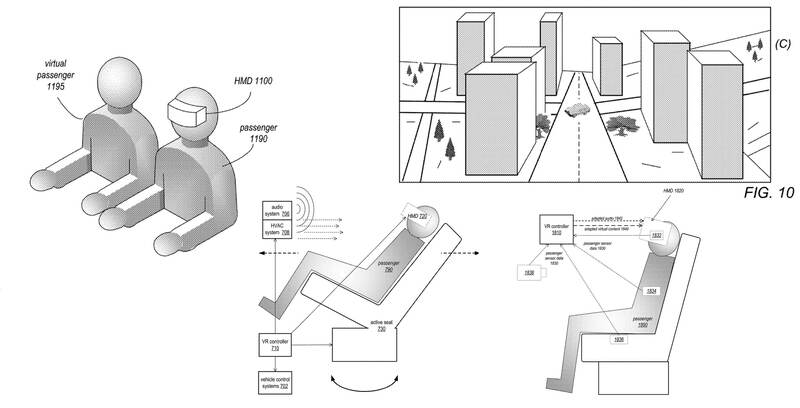 Apple has applied for a patent that would create a virtual reality system designed to operate in self-driving cars in order to help users overcome car sickness, or hold virtual meetings. The concept provides users with a way to overcome car sickness, or stay entertained in vehicles that don’t have windows. The lack of windows could be overcome by replacing them with screens on the inside of the vehicle that display real or artificial surroundings. What’s shown on the screens could be linked to the movements of the car. For instance, in a zombie chase scenario when the car stops at a red light, the screens and sounds could make it seem as if the car was stalling to add to the suspense of the chase. In VR, some of the scenarios are much more relaxing, with users pretending they’re floating down a river or in a completely different vehicle like a canoe. Apple has been rumoured to have been working on a car since 2015, but has never publicly spoken about the project. As always, it’s important to point out that just because a patent has been filed, it doesn’t mean an actual product has been revealed yet.